One of our Solidor Rimini timber composite doors installed. Solidor has become a household name in recent years. There are not any other timber composite doors that have become so well known, so quickly. With fantastic security and thermal values and an unrivalled colour selection, it’s not hard to see why. These customers loved using the Design a Door feature on the Solidor website. Through a process of trial and error, it allowed them to narrow down exactly on the design, colour, handle and glass design they would go for. By the time they got in touch with us to arrange a quote, they had pretty much already decided what they wanted. The Solidor brochure can be downloaded here. There are also some great videos of homeowners who have purchased Solidor timber composite doors for their homes. Check out the one below for example. We went to the property anyway as the Solidor was not the only thing we were going to install, it was part of a larger Smart aluminium Heritage 47 window and door installation, which can be read about here. The Solidor front door was ordered at the same time as all of the other items on the project. 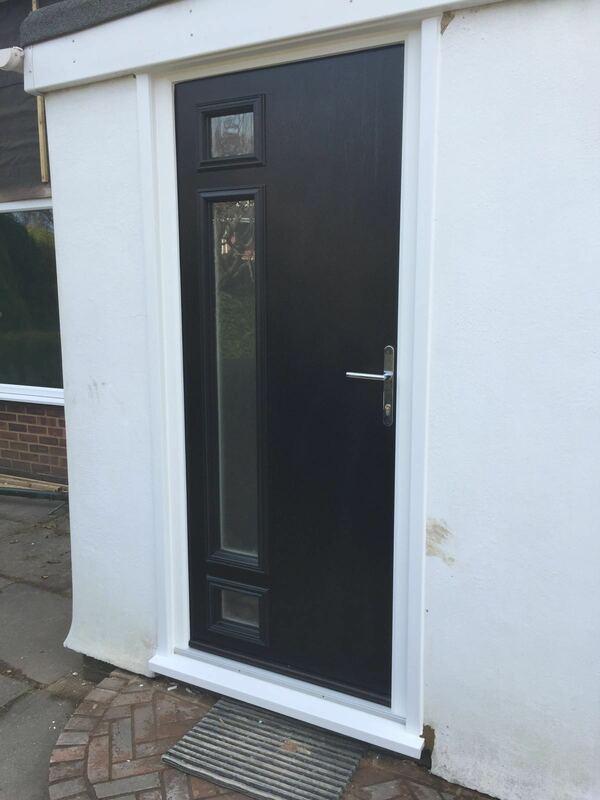 When it got to installation time, we installed all of the aluminium windows and doors into the project and we came back to install the Solidor later on, at the request of the customer, who didn’t want other tradesmen ruining the new door by going in and out of it with muddy boots. So we installed once all of the messy work was finished. As we were removing an old door, the installation itself only took around 2-3 hours and the customer is thrilled with the door, which is different to any other door on the street!